Being born and based in Europe, I have had plenty of opportunities to travel around the continent almost endlessly. While I filled time doing mundane jobs to finance the next big (three to six months) adventure, I always felt like going somewhere new; even just for a weekend. Looking back, it appeared much more of an experience when every country had border guards waiting to stamp your passport, and each border crossing offered the chance to handle a different currency. The €uro really isn’t that exciting – unless you have a suitcase full of 500 notes. After leaving school at sixteen – washing cars; working on building sites; and then in an office, to get me through the winter – I was ready to see more of the world. For two teenagers living on the English Isle, and bored with the prospect of a life suit and tied to an office nine to five, with the large liquid lunches that accompanied it, a tour of Europe seemed to offer them the adventure of literary boyhood. We set out to hitch-hike from Scandinavia to the sunny South of France; with something really basic, like 150 pounds in our pockets and all our clothes packed on our backs. Moving on – after two summers spent hitch-hiking south – I upgraded to train travel; with the help of monthly Inter Rail cards. We called them cards, but they were actually like little notebooks; where we had to fill out the journey, before the conductor came along. Today there are a variety of rail passes split into regions and validity lengths, but in those days we could travel all over Western Europe (and, if memory serves me right, Morocco) for one month and one purchase price; without the restrictions many rail operators impose on the modern Global Pass. Long night-trains meant saving on accommodation costs, at the expense of missing out on the scenery. Back then no-one bothered us when we slept in train stations or on the beach either. With Budget Airlines offering cheap flights to almost anywhere, the skies above Europe are now filled with people visiting the major cities for a few days at a time. Being a tourist is fine, if you’re strapped for time, but you should consider travelling by car; to get off the beaten track and discover what each individual country is really about. Village markets selling regional produce are a thrill to stumble upon. Most stalls offer little slices of cheese, salami and hams to sample. Driving around Europe, I find myself concentrating on particular regions within different countries and am always amazed at just how much more there is to discover each time I return to a country I thought I was familiar with. I no longer buy travel guides but always have a good map of the country and regions I’ll be travelling in; especially maps with scenic routes marked and interesting places underlined. Tourist information offices and good hotels in your destination will usually provide free city maps and often have pamphlets about some of the major attractions in the area. 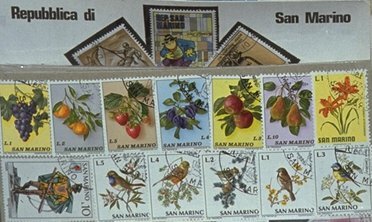 It might be easy to ‘do San Marino in a day’ (The Postcard Republic) but we can never say that we truly know France or Italy; even if we’re resident expats. To avoid the sightseeing crowds, always start your day early. Try and get to the popular places before ten; nine, even. If you have to, skip the hotel breakfast and grab something to eat when the masses start to arrive at around ten-thirty and before they park themselves at all the best tables, for lunch. hello everyone, my name is max and i am traveller. found this site and its interesting for me to share something. i have been in few countries, there were france, albania, ukraine and england. and i would like to advise to visit exactly ukraine. this country is not as popular as germany maybe, but also is amazing and awesome. kiev is one of the best cities a have ever seen, it was nice to be there, i lived in the cool hotel and had a nice vocation. i would like to share one site more for young travellers and beginners about hotels. i was expacting worse but i was surprised because those hotel are really awesome. here https://www.phnr.com/en.